Songs we should all know. When I started going to folk clubs in the late 60s there were certain songs which you could guarantee to hear almost every time—so often that, although they might have been decent songs, they became boring. 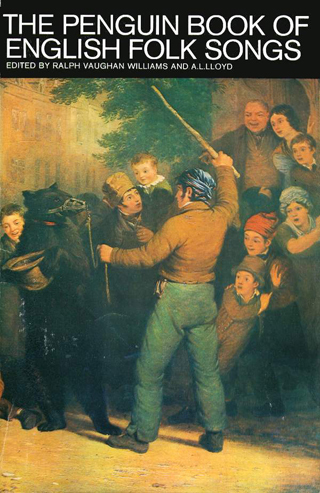 The Wild Rover became notorious and eventually everyone stopped singing it; Will You Go Lassie Go lingered on much longer, and still does to a certain extent especially as a farewell song at the end of the evening; Step It Out Mary, The Leaving of Liverpool, Fathom the Bowl, Jones’s Ale were all sung to death. I’m sure you can add others. 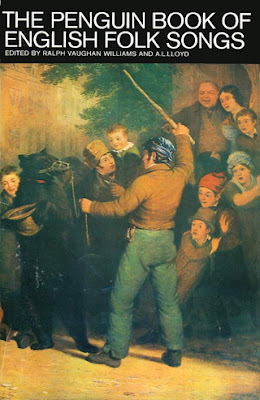 Those of us looking for more ‘serious’ traditional songs took as our ‘Bible’ the famous Penguin Book of English Folk Songs and it often became a competition to see who could sing their particular choice of song learned from that before someone else did. It is a great collection of songs and I still sing many of them. It’s been redone in the last few years with different versions but I don’t think the ‘new’ ones have the immediacy and attractiveness of many of the others even if they are more ‘authentic’ in many ways. So the songs from that book and Marrowbones became the core repertoire of several generations of folk club performers. They were the songs you were expected to know—not necessarily well enough to perform them but to be aware of. A while ago a friend gave me a second hand book as a present. 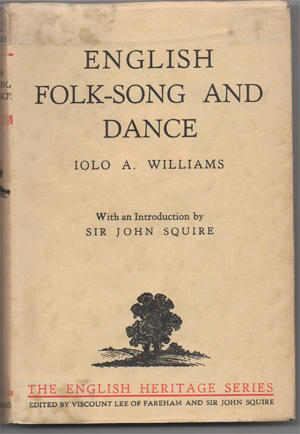 It’s English Folk-Song and Dance by Iolo A. Williams published in 1935 in the English Heritage Series by Longmans. The editors were Viscount Lee of Fareham and Sir John Squire, who also wrote the introduction. Iolo Williams is described as ‘Sometime Honorary Secretary of the Folk-Song Society’. They are hardly what you could call true ‘folk’ or even ‘folkies’! Williams (1890-1962) was an author, journalist and Liberal Party politician. His books include a couple of volumes of his own poetry and several books about poetry and then some non-fiction books about diverse subjects like flowers, book collecting, English water-colours and the firm of Cadbury. From the intro to this book I learn that he did some song collecting particularly in Sussex and Surrey. He describes folk music as being the music of the ‘English peasantry’ (although true peasants haven’t existed in England since the Middle Ages.) He lists these as being ‘agricultural labourers, cowmen, shepherds, woodmen, road menders and other such rural wage earners, but also the class just above these in the social scale, the small farmers and other country tradesmen.’ These are the people he thought were a source of songs but not the ones he was writing his book for, they were obviously much more middle class. He lived in that early 20th century class-ridden world of touched forelocks, bicycling vicars, country Squires etc which we know from Agatha Christie novels and the like. 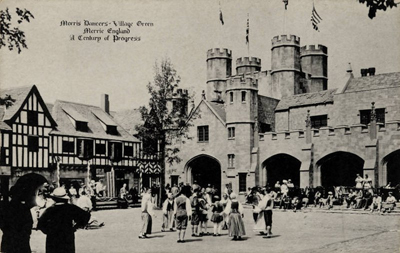 Folk dance '30s style. Village Green or Oxford College? Part of the book is dedicated to folk dance and it is very much the kind of dance the EFDSS folk dance clubs did—very polite, very ‘proper’. There is also some Morris largely taken from the ideas of Cecil Sharp. Many years ago—probably in the 1980s—I remember reading an opinion that the reason why so many of the really good pop groups of the day were Scots or Irish as opposed to English (they were talking about U2, the Waterboys and so on) was because they had grown up with a background in their own folk music, had probably even played at sessions in the local pubs, whereas English pop groups only knew English/American pop music and were just rehashing what had come before. Williams’ other ‘big thing’, and something which I wholeheartedly agree with him on, is that many ‘local songs’ are actually far more widespread. 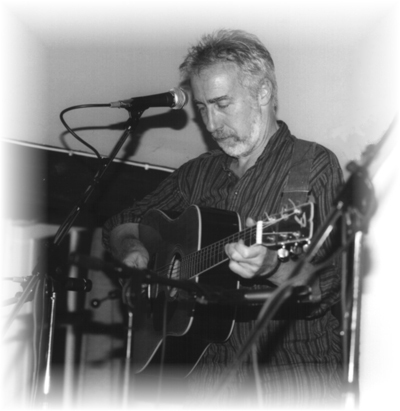 Many, if not most, songs are found all over the country and calling a particular song ‘a Sussex folk song, or a ‘Derbyshire folk song’ is false. It is just that a version was found and popularised in that county. Songs don’t stop being sung just because you’ve crossed the county boundary. A few songs, probably due to the subject matter, are limited to a region (although not necessarily a county) but many spread over at least a quarter of the country and some are found everywhere—with versions in other countries even. 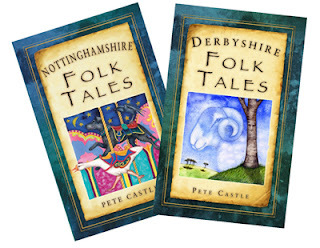 Labelling a song (or folktale) in this way is a very good marketing tool though, as the early collectors like Sharp found, and the tradition has been continued with The History Press’ series of folk tales books and I’ve been as guilty of it as anyone else! Now Google+ has gone there are no comments to show. Don't be scared to post anything constructive. Silly or abusive ones will be deleted.